Our Sunday morning service starts at 10:30am and ends around 11:45am. Our atmosphere is relaxed and comfortable; make yourself at home. We have complementary starbucks coffee every Sunday. Kid Zone is open to drop off your kids (ages infant - 5th grade) or keep them with you. We typically spend the first part of our service worshipping God through music, then take a short break, and then hear biblical teaching. Sometimes there is a response time after the teaching depending on what the Lord wants to do. 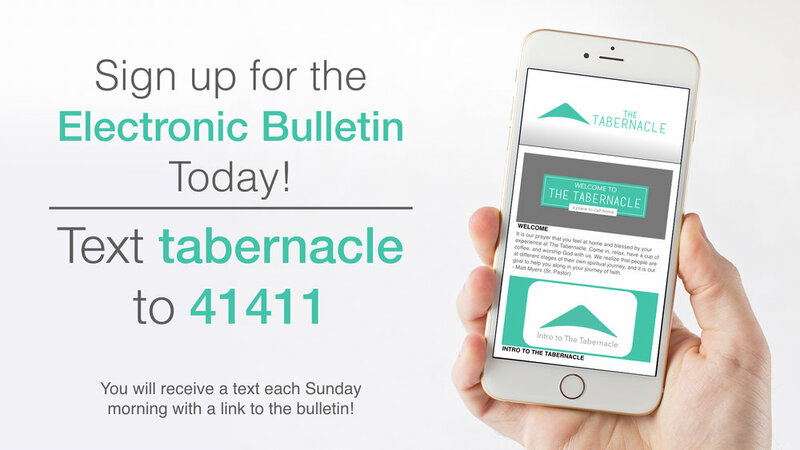 If you have any questions, send us an email (office@ourtabernacle.org), give us a call (262-694-0320) or stop by the Connections Table before or after the service. 7951 - 36th ave. Kenosha, WI 53142.